The first automatic exchange of information between tax jurisdictions took place in September 2015. The system is aimed at assisting revenue authorities across the globe with combatting base erosion and profit shifting. South African taxpayers who has been using offshore bank accounts to evade South African tax will be well advised to seek professional assistance in regularising their tax affairs as soon as possible. Employment Tax Incentives in the amount of R3.9billion has been claimed by 36 000 employers for 250 000 employees. While the sunset clause for the incentive currently remains at 1 January 2017, the take up appears good after a slow start on commencement of the incentive on 1 January 2014. We are yet to see whether or not the incentive will be extended. The report from the Davis Tax Committee on the role of incentives in corporate tax will no doubt have an impact on this decision. The much anticipated draft carbon tax bill is expected to be released for comment in October 2015. With South Africa’s VAT rate being low relative to other tax jurisdictions, an increase in the VAT rate is, in our view, inevitable. However, as stated by the Davis Tax Committee in its first interim VAT report, “an increase in VAT would have a greater negative impact on inequality than an increase in [personal income tax] and [corporate income tax]”(our insertion). Increases in corporate income tax has not been forthcoming (yet) while personal income taxes has already been increased by 1% across all top earning tax brackets. The current delay in increasing the VAT rate could be argued to be politically motivated. The Davis Tax Committee’s’ report on estate duty published in July 2015 proposes a few drastic measures which will, if accepted, change the basis on which trusts’ are taxed. The proposal that the flow through principles applicable to trust’s be removed and which will see trust income being subjected to tax at a flat rate of 41% has flared up heated debates across the country. It appears that the Minister has taken notice of this and this can indeed commended. 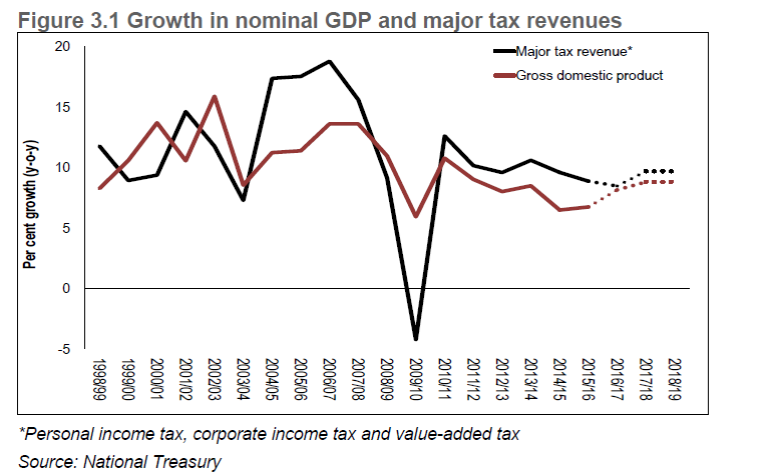 Figure 3.1 from Chapter 3 of the mid-term budget below indicates clearly the stark reality that tax revenues have not only not been restored to levels reached before the 2008/2009 recession, but is also in a downward trend at the moment. The forecast for increased revenue collection, whilst indeed based on increased economic growth, will no doubt place SARS under severe pressure to collect more. Taxpayers will be well advised to ensure their tax affairs are in order and that they are prepared for a more aggressive SARS than what we have come to known over past years.